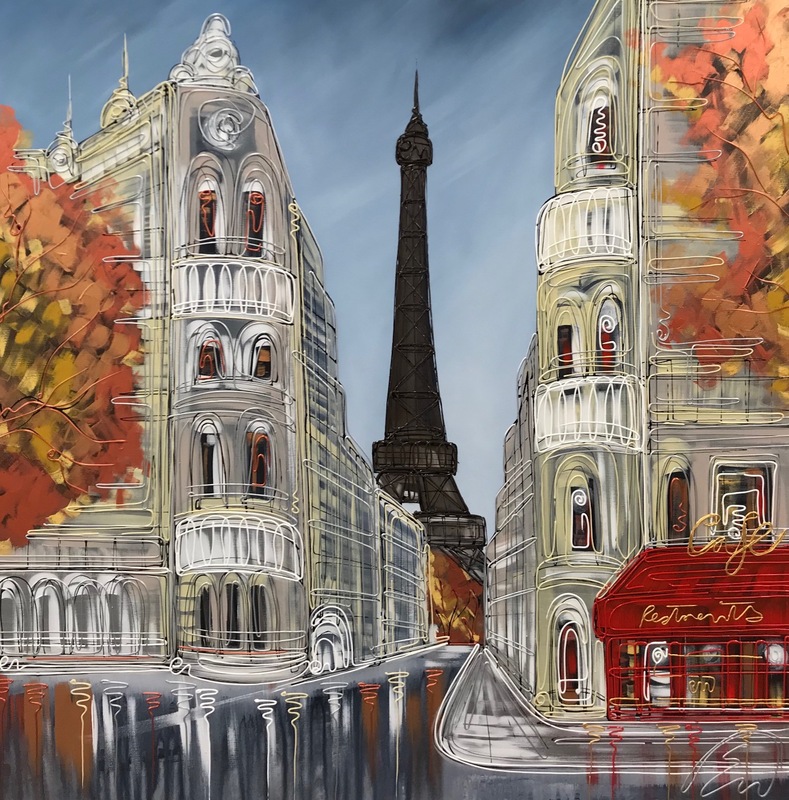 Edward is known for his vivid 3D cityscapes, he has painted iconic landmarks from cities around the world including Paris, New York, and of course, London. 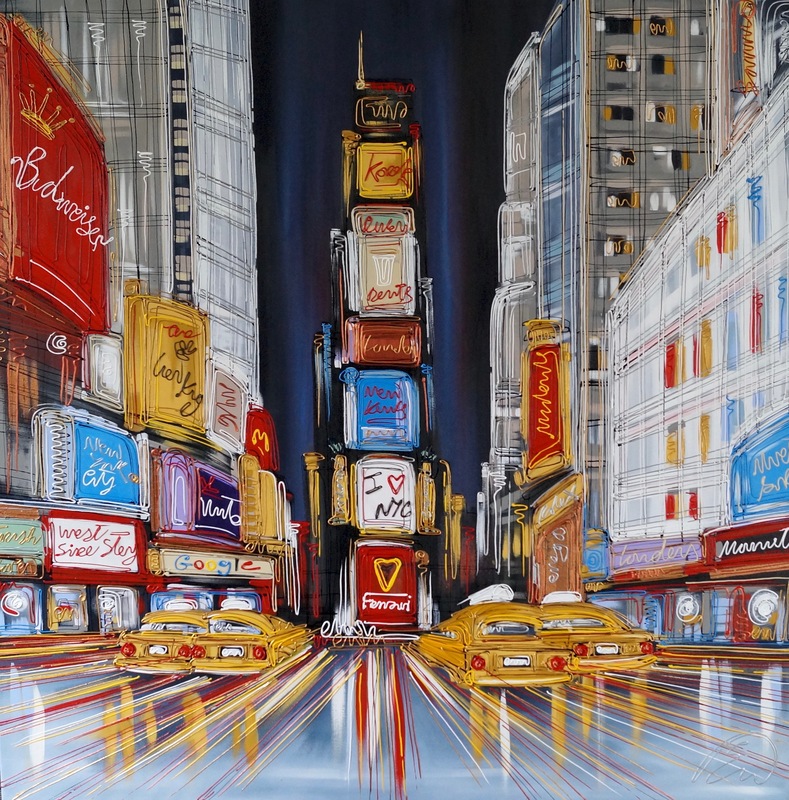 Each work perfectly captures the bright lights and constant rush of urban life, thanks to his bold, colour-filled technique; first inspired by ketchup bottles in the New York diner!!! 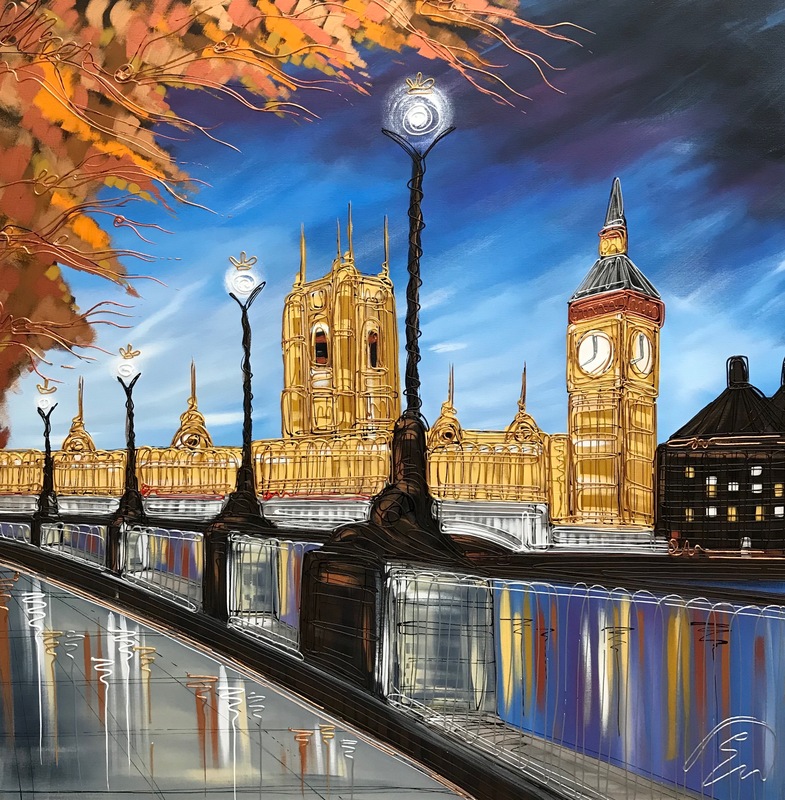 Now a full time artist, Edward has a studio in Lincoln overlooking the Cathedral, and at only 28, he already has a strong following of galleries and collectors worldwide. 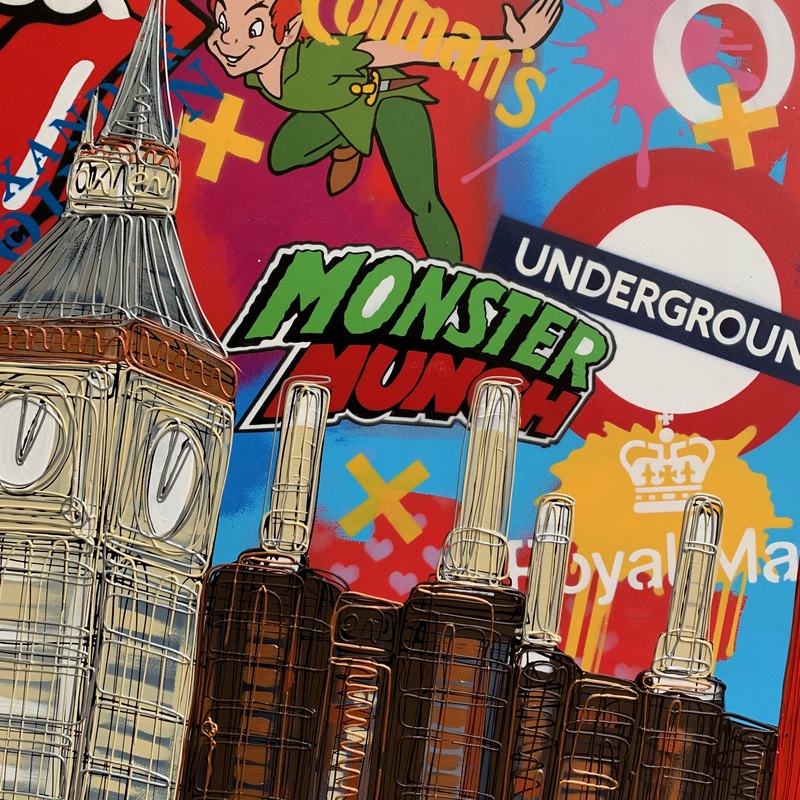 “It has been a swift rise to fame and success for the artist, who is not yet even 30, but he is potentially on his way to becoming one of the most renowned artists of his generation.” Arqadia, 4Walls Magazine.